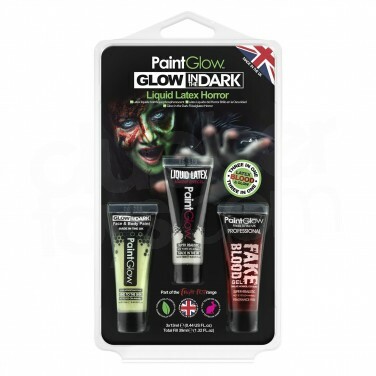 Transform your look to one of pure horror this Halloween with a glow in the dark liquid latex special effects make up kit. 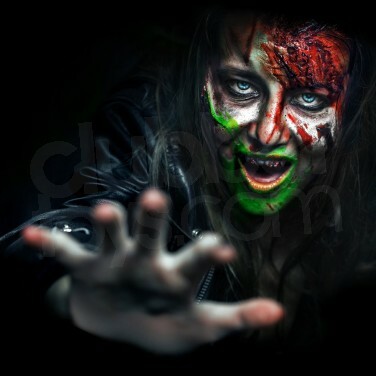 Ramp up the gore factor this Halloween with gruesome special effects that shine with an eerie green glow using a glow in the dark liquid latex kit! Each kit comes with a 13ml tube of glow in the dark face paint, a 13ml tube of liquid latex and a 13ml tube of fake blood gel; all you need to create creepy special effects. Apply with fingertips or sponges for best effects and transform your look to one of pure horror! Water based, once Halloween's over simply remove the make up quickly and effectively with soap and water leaving the memory of your ghoulish self in the dark! 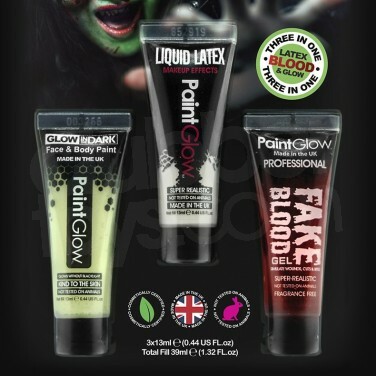 Apply finishing touches to your Halloween effects with UV reactive fake blood that fluoresces under UV blacklight! Easy to apply UV neon body paint in a stick form for detailed designs that glow under UV blacklight!